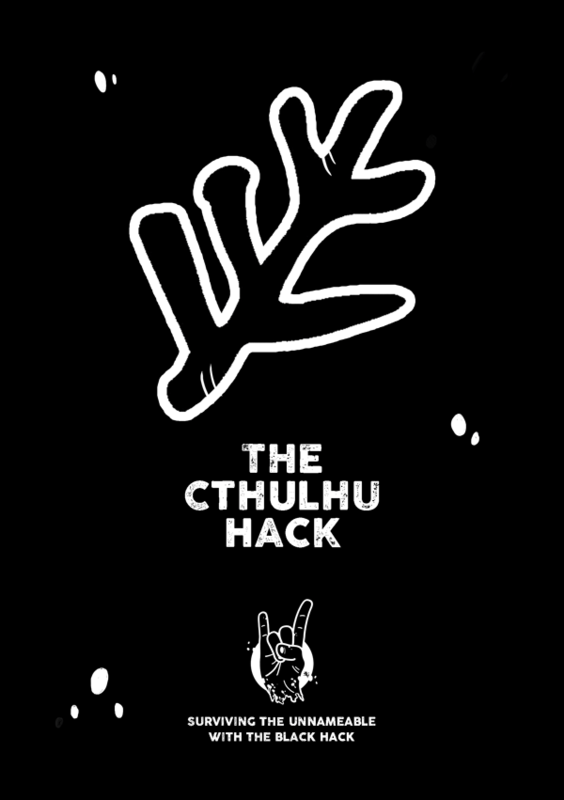 I’m really pleased to announce the official Version 1 release of The Cthulhu Hack through OneBookShelf websites. After a crash course in hacking, drafting, writing and playtests, the 42-page hack of The Black Hack takes the fast playing OSR system into the world of H P Lovecraft. Battle cultists and the servitors of the Mythos, while the Old Ones slumber, undulate or cavort at the heart of galactic chaos. The simple system makes converting most investigative adventures written with Lovecraft at heart a breeze; the elegant application of the Usage Die mechanic makes investigation effortless. The book includes creatures and servitors of the Mythos, spells for those willing to blast their sanity and a brief overview of the core Mythos in a 101 for the Lovecraftian beginner. On top of that, you get a twin character sheet PDF on A4 with room to record your investigator details. Available through RPGNow and DriveThru for $2.50.